This quote was taken from "Cosmo Girl Magazine" This is a philosophy that I used on a daily basis long before I read this, but I take this further . I myself can't do nothing without the help of GOD in Christ Jesus. I is egotistical. E-G-O Editing- God- Out. 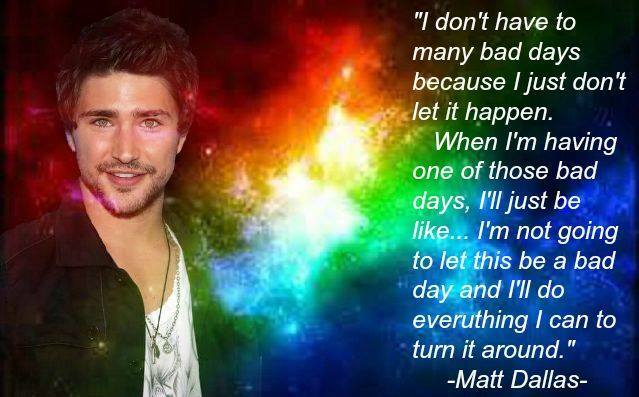 In Matt's case I don't know where his state of mind and heart was at in the time this interview was presented. It's a good attitude to have in a world that's full of chaos and confusion. Life is about experiences and lessons and it's important to have this mindset to do the best you can to take a negative/bad situation and make the best out of it. That's how I perceive his quote as. 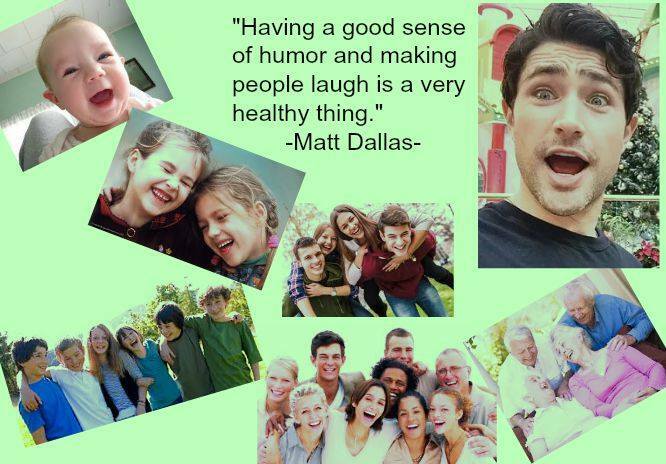 Matt started a series of words of wisdom called Joisms he posted on Twitter back in 2012. My friend Deanna and I decided to take his joisims and create colorful and imaginative banners inspired by them. There's a law in the 7 natural law principals call the law of 'Vibration.' Life's a constant flow of movement and it stops for no one. It a cycle of ebb and flow. We are energy and energy needs more energy to thrive. This Joism Matt presents says that we gotta go with what life deals out of you. We all wonder what our purpose is in life. I'm sure you've heard about a small device called a GPS system, like a modern day compose. It helps us find the right directions towards our destination. In life, we all have a unique purpose and I believe that we tend to get lost along the way by life's distractions and people's opinions. I look at Matt's interpretation that GOD gives us a desire in our hearts to go the destination that is destined for us while we're on this earth to serve our purpose. 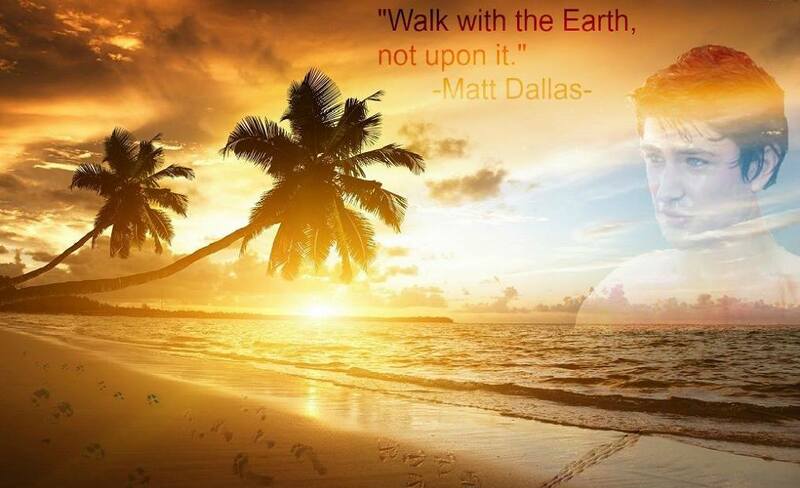 In Matt's take he could be saying that we have the will to choose our own destination in life. The earth is a gift from our creator GOD. We are the stewards of this planet and one day we will have to answer for all what we've done to this earth. I think that is what Matt was referring to by his joism. We are to be the care takers of this world. It's our responsibility to care for everything that is on this planet, humans, animals, plants for our future generations to enjoy and cherish.